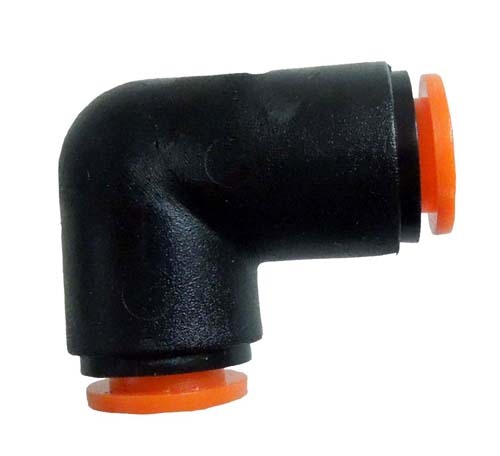 3/8" Greenhouse Mist Elbow allows you to make those 90° turns without worrying about kinking your tubing. 3/8" Mist Elbow allows you to make those 90° turns without worrying about kinking your tubing. Operating pressure is 45-150 psi. This picture shows you the locking teeth on the inside, that grab the tubing. 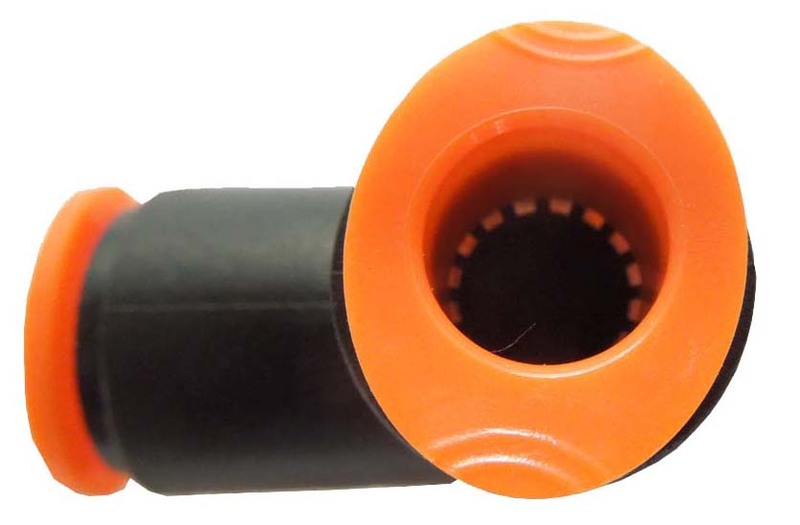 To release the tubing, simply press down on the orange collar and pull the tubing out.